Located in beautiful Annapolis Valley sits Country Magic and Blueberry Acres, an operation which farms close to 3000 acres at multiple locations across the valley. Here they grow a wide variety of crops such as: potatoes, onions, lettuce, highbush blueberries, grape tomatoes, blackberries, strawberries, cooking greens and use grains as their rotational crops. Did you know: Nova Agri Group of Companies is made up of 5 different farms? 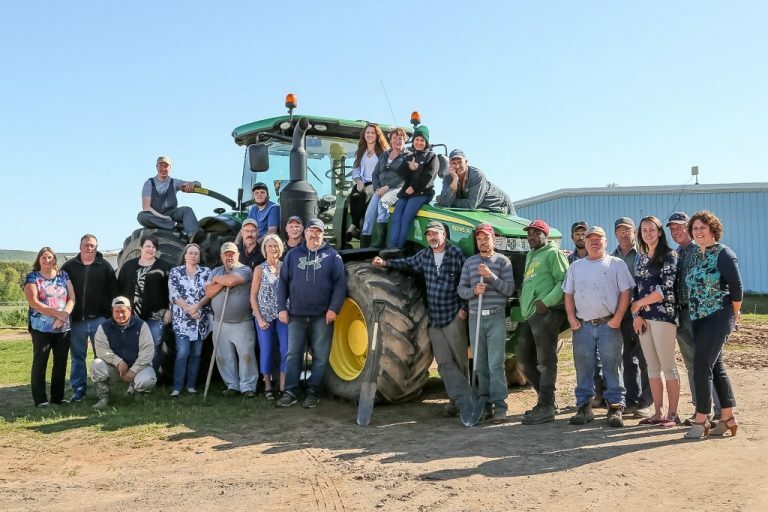 “We’re fourth generation farmers and innovators, constantly working the land and adding value to the products we grow,” said Earl Kidston, company founder and CEO. Over the last 45 years what was once a small family farm has grown into one of the leaders in the Canadian Agri Food industry. Earl’s brother, Bobby Kidston, Director of Blueberry Acres is known as their walking dictionary when it comes to blueberries and has a tremendous knowledge of farming practices and equipment. Bobby graduated from the Nova Scotia Agricultural College and has been involved with the family farm for his entire life. “We’re committed to working with mother nature to produce the best tasting fruits and vegetables,” Bobby explained. Did you know: Blueberry Acres harvests close to 1.5 million pounds of blueberries each year? Blueberry Acres has been participating in Open Farm Day for two years but this is the first year Country Magic will be included in the event! Visitors will gain a better knowledge about the farm and the products grown, in addition to this they will learn the health benefits of produce – something that is often overlooked when at the grocery store. Did you know: You can eat the entire beet plant? From the very tips of the leaves down to the root! “Our favourite part about Open Farm Day is getting to know our community and showing them what we do,” added Bobby. Country Magic and Blueberry Acres can’t wait to see you on the farm!